Thing about Blogger HTML template is that it has some XML and CSS in a single file but with little knowledge of XML and HTML Blogspot templates are easy to edit to suit your desire. 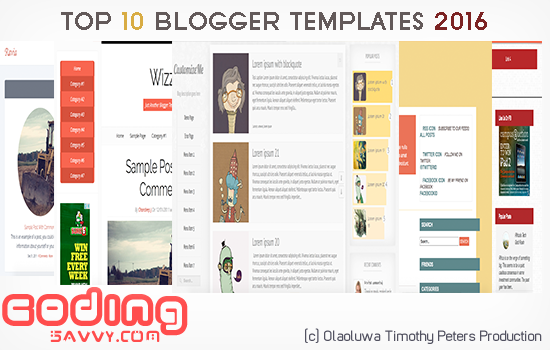 Blogger templates of 2016 need to have some SEO improvement markups to keep up with trending SEO practices of 2016. All modern HTML5 blogger BlogSpot templates need to be responsive and mobile friendly Themes can be made friendly by using of CSS3, Google has stated that mobile friendliness is now part of SEO advantages. SDK Alpha is a simple blogger template that has three columns and SEO ready, it has mobile responsive features and all the popular social sharing buttons you need on your posts, It Google AdSense ready so that all your ads are properly positioned for high conversion. BTNT Theme is a two column blogger template with Awesome features like Custom opt-in forms (Sidebar, After posts, Above the footer), Ad placement, Social Sharing buttons and much more. To make it short this theme is an all rounder. It has many custom features, SEO Optimized and also loads fast with cool features. 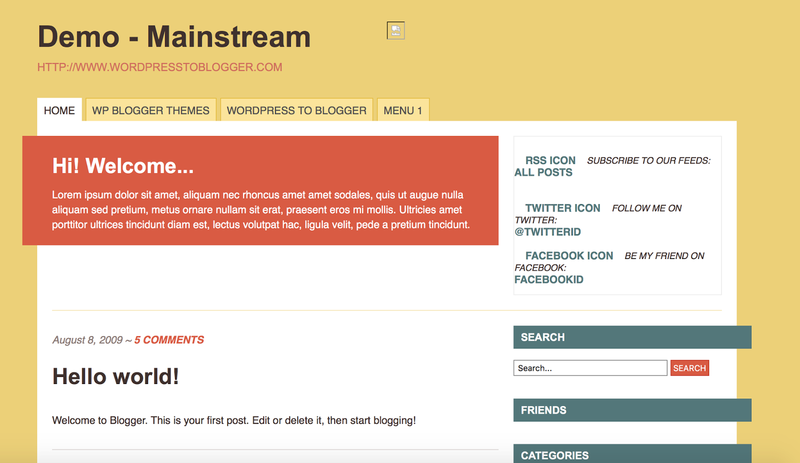 Wizz is a 3 Column Elegant looking Theme with a Custom Opt-In Form on the top right side of the sidebar. 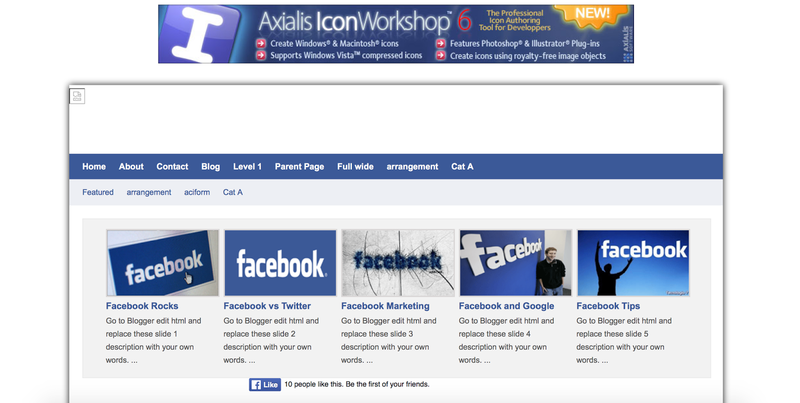 It has custom features like Two Responsive Navigation Menus, Custom Profile Icon Widget, Etc. 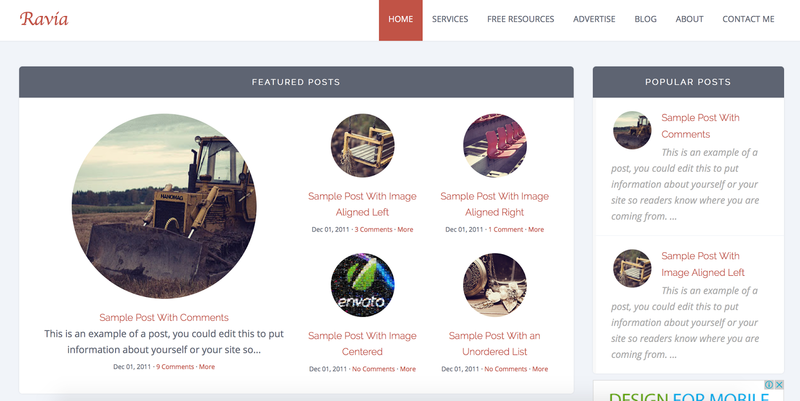 Ravia is an Elegant Gallery style blogger template with Custom features like Automatic Feature Post Widget, Cool Popular Post Widget and Inbuilt Social Share buttons, etc. If none of this template suits your taste you can read: How to Design Responsive Template.